Trying out the new Gu hot chocolate range. If there’s one thing I love about winter, it’s curling up in front of the fire with a steaming mug of hot chocolate in hand. And if that hot chocolate has lashings of whipped cream and marshmallows sitting proudly atop it, then so much the better. So when I was given the opportunity to try out Gu’s new hot chocolate milk range and challenged to make some edible tea cups to enjoy it in, I couldn’t refuse. I also thought it’d be a good opportunity to explore various ways of trying the hot chocolate itself. I’m really pleased with how these edible tea cups turned out. 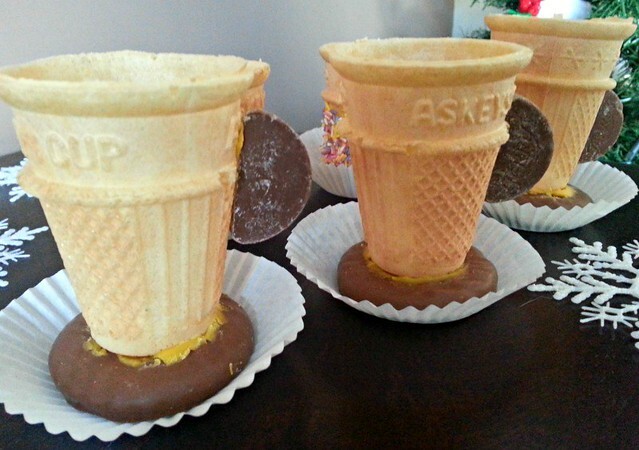 To make the main part of the tea cup, I stuck the ice cream cone cups onto chocolate biscuits with some melted chocolate. Then, I used some more melted chocolate to fix a mini chocolate orange segment onto the side of each cone cup for the handle. All cups were then placed in the fridge to allow the chocolate to set. 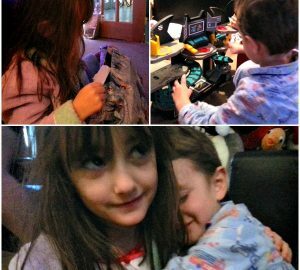 The next morning, I poured some Gu hot chocolate milk into the cups and served to my family. It was served cold so that the wafer cone wouldn’t disintegrate too fast. 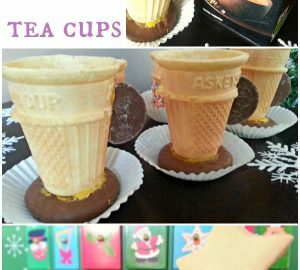 My children loved the idea of drinking out of these edible tea cups. This is a little homage to the French who traditionally drink hot chocolate from bowls rather than mugs. I bought some brandy snap baskets from my local supermarket and dip the rim of each basket in melted chocolate. 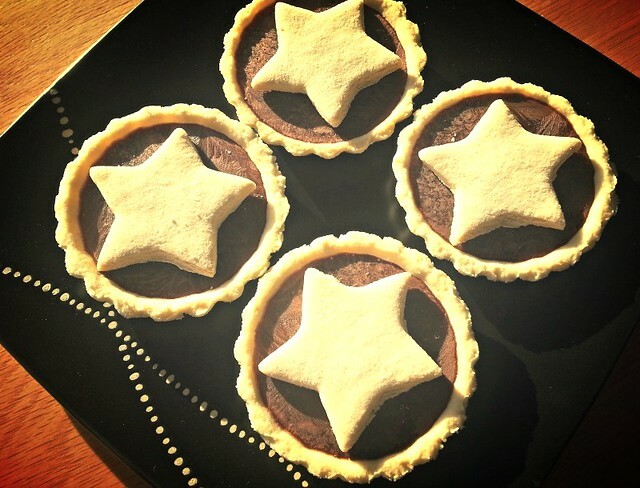 I then placed them on top of pastry stars and fixed them in place with a little more melted chocolate to make a little stand for each of the hot chocolate bowls. For the ice cream, I actually followed a Nigella recipe for easy, no-egg, chocolate mousse. What I did differently was substitute the chocolate with Gu’s Mocha flavoured hot chocolate milk and mixed in the double cream before the chocolate mixture had cooled completely so that it melted. What I got was a very creamy chocolate ice cream with a distinct taste of coffee. 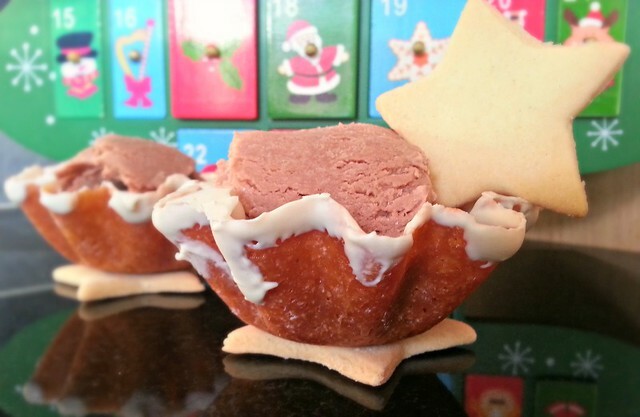 I then decorated it by adding a pastry star on top. OK, OK, so these don’t bear any resemblance to tea cups, edible or otherwise. But, it’s a very easy dessert to make using Gu hot chocolate milk and it tastes great. I bought ready-made shallow pastry cases, but you can of course make your own if you have the time. I then filled the cases with Gu’s thick hot chocolate milk and popped them into the freezer to set. About half-an-hour before serving, take them out of the freezer and allow them to defrost at room temperature. This will allow the chocolate to soften, but not become too runny. 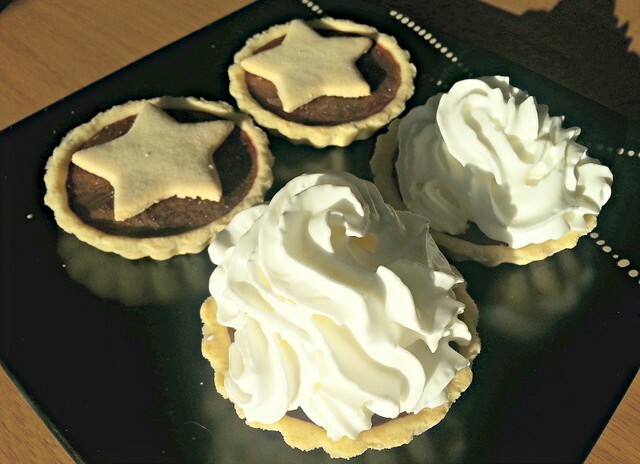 You can then top with anything you like, including an abundance of whipped cream. Olivia however, preferred to drink the chocolate milk from the pastry before it had been frozen. Each to their own. The new Gu range comes in 3 flavours – mocha, salted caramel and chocolate – and costs roughly £2 per 750ml carton. 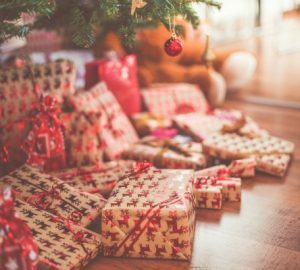 You’ll find it along the same aisle as the milk in your supermarket. The product is fresh, thick, creamy and full of flavour and I’d definitely consider buying this again, especially if I can find the salted caramel flavour on sale. That one in particular sounds lush. How do you like to enjoy your hot chocolate? Please note: I was given a voucher to buy all necessary products for this challenge. Wow- very creative! 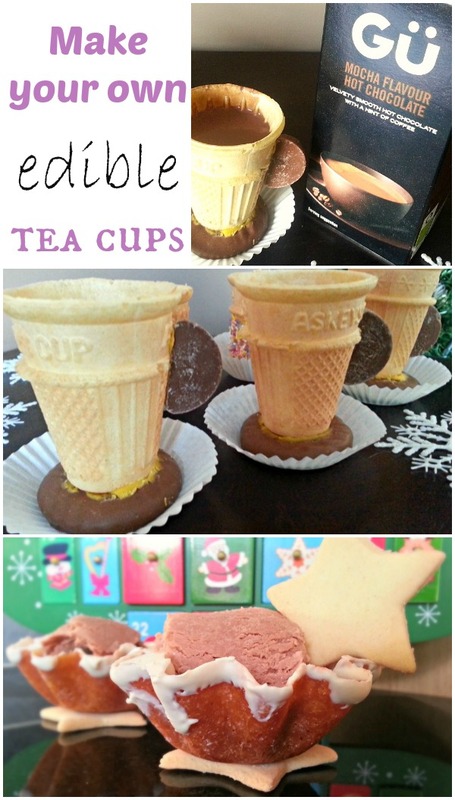 Love the idea of edible teacups!